2 What is Parkinson’s Disease? 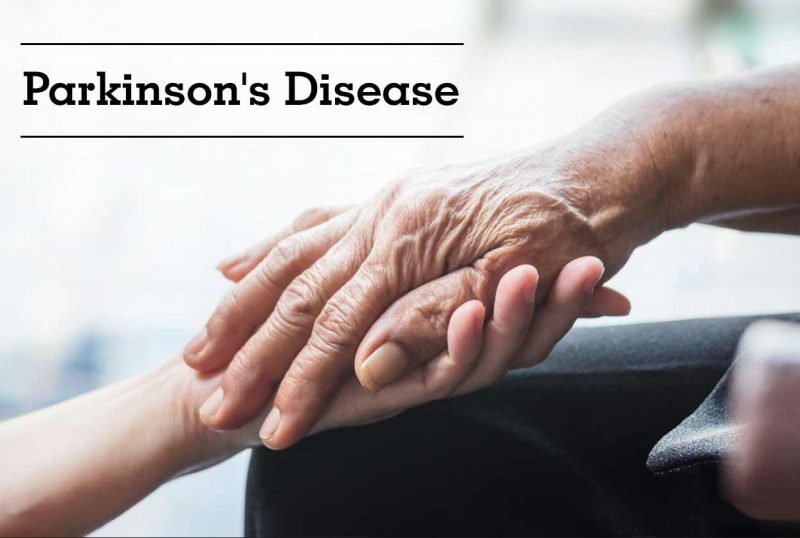 In this post of Homeo Expert, we shall discuss the best Homeopathic Medicine for Parkinson’s Disease or Top homeopathic remedies for Parkinson’s disease. It is a disorder of your nervous system which can affect your movement and it grows slowly. In the beginning, the person feels tremors in his one hand and it is a famous sign of Parkinson’s disease. Additionally, it can also cause slowing of movement or stiffness. The symptoms of Parkinson’s disease are different from person to person. At initial stage, the symptoms begin on one side of the body and become worse and after a while, they also begin or affect both sides of the body. It is the shaking of which starts in a limb, finger and hand. The person feels tremor in Parkinson’s disease when the hand is relaxed or at rest. Parkinson can also reduce your movement and your ability to move. So even a simple task will become difficult and time taking for you. When you walk your steps are shorter and you cannot even get out of a chair as well. Additionally, you will also drag your feet when you try to walk. The stiffness of the muscles may also present in any part or region of your body. It will limit your motion and will cause you pain while moving. In Parkinson’s disease, you will face balance problems along with stooped posture. In Parkinson’s disease, you will not be able to perform automatic or unconscious movements. It includes different movements such as smiling, blinking and swinging your arms while walking. In Parkinson’s disease, you may face difficulties in speech and you may speak quickly, softly or hesitate to talk. You may face writing changes and it will become hard for you to write. The writing may also appear small. Neurons produce dopamine which is a chemical that sends messages to your brain. When it decreases then it will become the cause of abnormal brain activity and which can also lead to Parkinson. Gene variation can become the cause of Parkinson’s disease and it seldom happens. Your exposure to different environmental factors including exposure to a certain toxin can increase the risk of Parkinson’s disease. If any of your close relatives are having Parkinson’s disease then there is a chance that you develop it too. People who are 60 or more than 60 years old can easily develop Parkinson’s disease. Currently, there is no cure for Parkinson’s disease in conventional mode of treatment. Homeopathic treatment for Parkinson’s disease is available and homeopathic medicines for Parkinson’s disease are made of natural substances. Additionally they are devoid of side effects and safe to use. Causticum is the best natural homeopathic medicine for Parkinson’s disease in which excessive rigidity is present. The patient feels stiffness in the body and the muscles also become hard. In addition, the muscles of the back and lower limbs also become hard. In such cases, the patient is unable to maintain balance when he walks. They walk in a slow manner but still they fall easily. Causticum is also a great remedy for those patients who cannot easily get up from lying or sitting position. The patient of Causticum feels pain in the limbs and gets relief from warm applications. Trembling of hands is also present in such patients. Gelsemium is another homeopathic treatment for Parkinson’s disease where it affects the nervous regions of the patient. The patient of Gelsemium gets excited easily from a sudden emotion or fear. In Gelsemium, the patient feels the strong shaking of legs, hands and tongue. The patient also feels weakness along with shaking and it becomes worse by mental excitement. The patient remains dull, tired and drowsy. Additionally, the coordination of muscles becomes less and his muscles do not work according to his own wish. The patient is unable to maintain his balance while walking and he does not have desire for water. The patient of Gelsemium is also facing problem in a speech like slurring of speech. Plumbum Met is a useful homeopathic remedy for Parkinson’s disease where Bradykinesia(slowness in movement) is also present. The muscles of the patient are sluggish and slow in pace. So the patient is having very slow speed and he performs his task at a very slow pace too. In addition, the patient also feels weakness along with slowness of the muscles. The ability of the patient to perceive things also becomes slow and the ability of understanding and memory also become weak. There is unstable walk present in the patient and it leads the patient to totter. Trembling of hands and the hands also remain cold. The face of the patient lacks expressions and gives a blank look. Zincum Met is another homeopathic medicine for Parkinson’s disease where the trembling of hands is present. The feet of the patient constantly move and Zincum Metallicum gives strength to weak nerves. Mercurius Sol is another natural homeopathic treatment for Parkinson’s disease where strong trembling of hands is present. The symptom of shaking of hands is of superlative degree. Merc Sol is also a useful homeopathic remedy for Parkinson’s disease where the drooling of saliva from the mouth is also present. The patient also feels difficulty while talking and also experiences trembling of the tongue. It is along with an offensive odor from the mouth and the symptoms become worse at night. Excessive sweating is also present in these patients and it has an offensive odor. The patient is also extreme sensitive to cold and hot temperatures in Parkinson’s disease so Merc Sol can treat such conditions. Argentum Nitricum is one of the top natural homeopathic medicines for Parkinson’s disease where the tremors of hands is present. The patient loses control and balance when he walks. The patient of this medicine has unsteady gait along with impaired balance. There is a stiffness of calf muscles and the muscles of the back lower leg become hard and rigid. The patient suffers during the walk and the patient also desire for sweets. Stannum Met and Zincum Met are the best homeopathic medicines for Parkinson’s disease which can deal with trembling in Parkinson’s patients. The hands of the patient shake in the rest position. Homeopathic remedy Silicea is another helpful medicine for tremors of hands when it becomes worse while sitting. If the tremors become worse after a sudden emotional excitement, Gelsemium is the suitable cure for this patient. Rhus Toxicodendron, Bryonia Alba, Ruta Graveolens and Causticum are the best homeopathic treatment for Parkinson’s disease where the stiffness of muscles is present. These natural remedies can reduce the stiffness in the body. The patient of Causticum feels that his muscles are very tight and become short. In Rhus Tox, the patient experiences rigidity during rest but it becomes less while walking. The patient of Rhus Tox cannot get up easily after sitting a long time but the stiffness becomes less severe when he walks. The patient of Ruta Graveolens experiences stiffness and shortening of tendons in the thigh region. In Bryonia Alba, the symptoms of the patient become worse while walking. Phosphorus, Calcarea Carbonica and Plumbum Metallicum are the natural homeopathic remedies for slowness in the patient of Parkinson’s disease. The selection of homoeopathic medicine is entirely based on the unique symptoms defined by the patient himself. Although all of these natural homeopathic medicines are equally useful. My right hand thumb tremors. A case of early Parkinson disease.